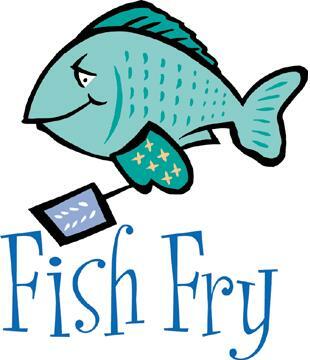 St. Thomas’ Episcopal Church will hold its Back to the Bayou Fish Fry on Saturday, May 4, 2013 from 5:30 to 7:30 p.m. on their back patio. Tickets are $10 for adults and $5 for those under fifteen. 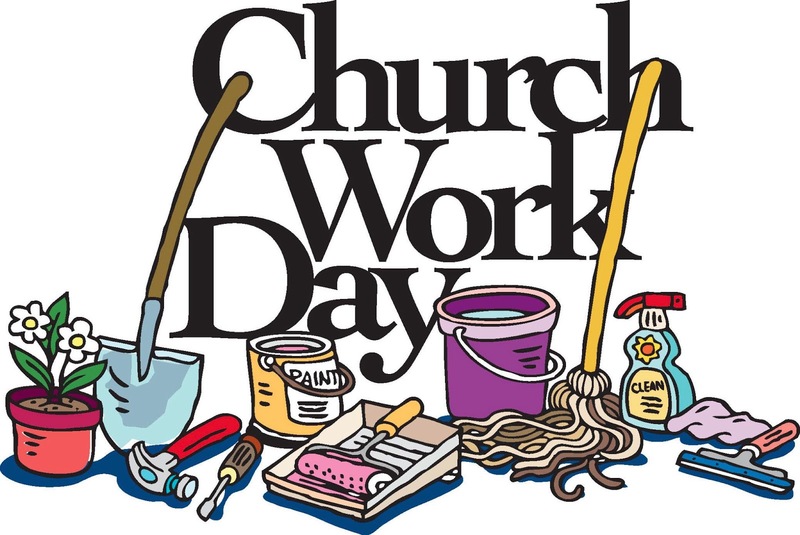 The Back Pew Pickers will entertain us and games are planned for all ages. Join us for great food, fun and music! 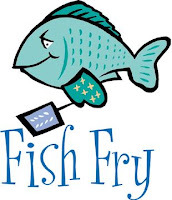 Back at the beginning of Lent, the Canterbury group decided to forgo food at our meetings during Lent in order to make a donation toward feeding hungry people locally. So, I calculated the average amount we had been spending from the Canterbury budget for food, and it was $17 per meeting. We also put out a little wooden box at our meetings for those same five weeks that we met without food, and a total of $25 cash was put in the box. Therefore, I have just composed a memo to Henry Bateman asking him to deposit the cash and write a check in the amount of $110 from the Canterbury fund to the Desiard Street Shelter. It is time to dance! E.Y.C. is joining Grace Middle School for their End-of-the-Year Party! Tickets are $10 each with all the profits going to offset expenses of the Eight Grade Costa Rica Trip. 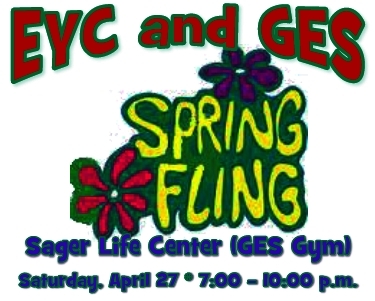 Sixth, Seventh and Eighth grade students from all area schools are invited to attend the Spring Fling! D.J. Logan and D.J. Benji will put the fling in Spring with their musical talents! Grace Church and School parents will chaperon. Hope to see you there! 3. Clean up along the walking path, weed-eating and raking where necessary. Like you I am reeling from the news coming from Boston. Innocent people have been killed and many more have been injured by bombs timed to explode as the Boston Marathon was coming to a close. First responders reacted with heroic speed, and now medical personnel apply their skilled hands to saving and healing those who survived. Families, friends, the country, and much of the world watch and pray tonight. Let us join them in prayer. Prayer for those who have entered into eternal life and for those fighting to recover. Prayers for the first responders and medical teams. Prayers for those who wait anxiously for word that their loved one is okay. Prayers for those whose hearts are rent by grief. This morning, for the first time in many years, torch bearers helped create a reverent and stately space and atmosphere of worship! 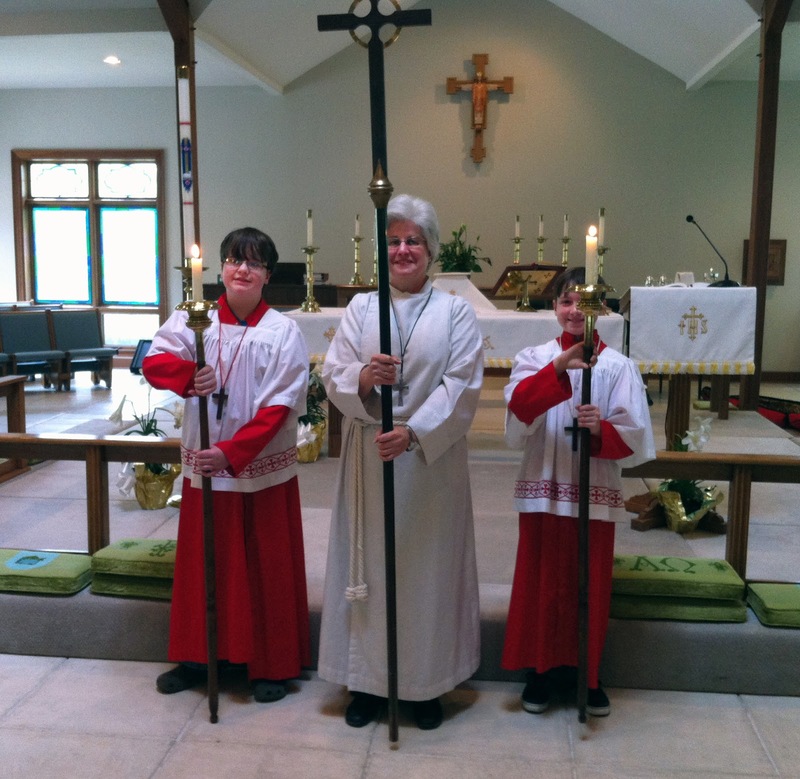 Many thanks to our young people called to the ministry of torch bearing and to Karen H. for training them. Look for additional photos in the weeks to come because this is just half the class of new torch bearers! Today I will be departing from St. Crispin's Conference Center in Oklahoma. Since Monday the Bishops of Province VII have gathered here to discuss mission and ministry, to find ways for our Dioceses to cooperate in that mission and ministry, and to deepen and strengthen our bonds of affection. It has been a gracious and fruitful time. Among the topics we discussed were providing sustainable clergy leadership for small congregations, the local formation of bi-vocational priests, and strategies for decreasing congregational operating costs by increasing cooperation among congregations. In one session Bishop Stacy Sauls joined us from the denominational offices in New York to update us on the restructuring process initiated by General Convention last summer and to gather our input. 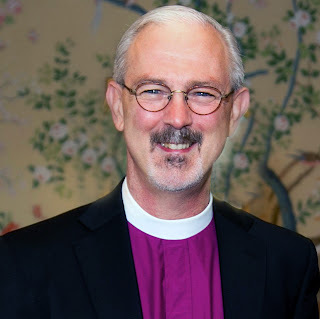 The dream is to reorganize our denomination so that the denominational offices work to support and coordinate initiatives made at the diocesan level. There is still much work to be done, but the direction seems the right one to all of us gathered. 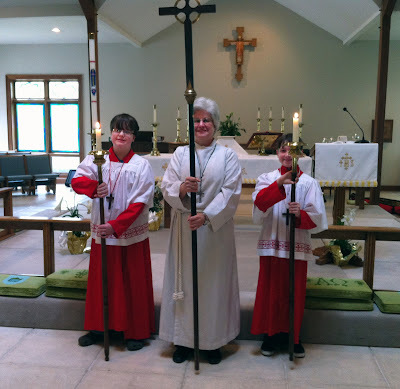 I have enjoyed this time with my colleagues, the warm hospitality and beautiful setting of St. Crispin's, and the fellowship with my episcopal colleagues. Nevertheless, I long for home and will be glad to be back among you in Western Louisiana. Continued Easter blessings to you all. The Great Fifty Days of Easter began last Sunday and continues through the Day of Pentecost. Among the Sunday readings for Eastertide you will be hearing selections from The Acts of the Apostles and from The Revelation to John. It probably comes as no surprise to you that these readings represent more than a haphazard choice by the lectionary committee. On the contrary, these biblical books teach us that the resurrection is at once about today and about eternity. The Acts of the Apostles traces the remarkable growth of the earliest Church. It recounts the perils and power of following Jesus right here on earth. The Holy Spirit creates a new kind of community and transforms individual lives. Love, faith, and hope break out in the unlikeliest places. All of this are the shockwaves of the resurrection. And those same shockwaves are still rolling through our lives today. Reflect on these lessons from Acts as a vision of what we can be together in Western Louisiana today. Revelation reminds us that our ministries today take place within an eternal framework. 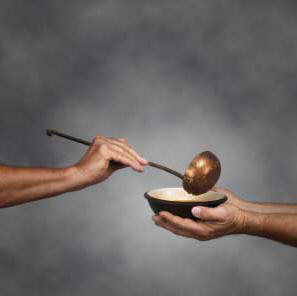 The Lord feeds us each Sunday with his Body and Blood to nourish us for service in the world. He sends us out to feed the hungry, shelter the homeless, visit the prisoner, tend the sick, and defend the weak. We live every day with the desire for God's reign on earth as it is in heaven. Revelation reminds us that God-and only God-will actually bring in the kingdom. 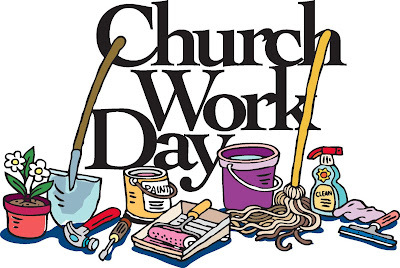 Our good works-motivated and empowered by the Holy Spirit-provide a sign that God is at work, and one day his work will be complete. Jesus feeds and sends us to do the good we can do in anticipation that, when he comes again, his Kingdom will be perfectly established. Being resurrection people means that we live in love, peace, and joy today and anticipate with confidence that the best is yet to come.